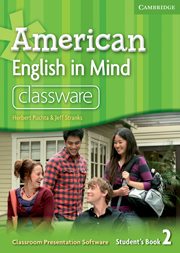 The American English in Mind Level 2 Classware features computer projectable versions of Student's Book lessons to facilitate "heads-up" teaching. It encourages students to get out of the textbooks and participate. This software contains all of the lessons from the Student's Book, audio support, and associated video episodes. 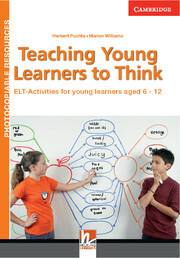 Teaching Young Learners to Think offers 80 activities specifically designed to develop children's foreign language competence while promoting basic thinking skills.